26 available 26 items in stock. 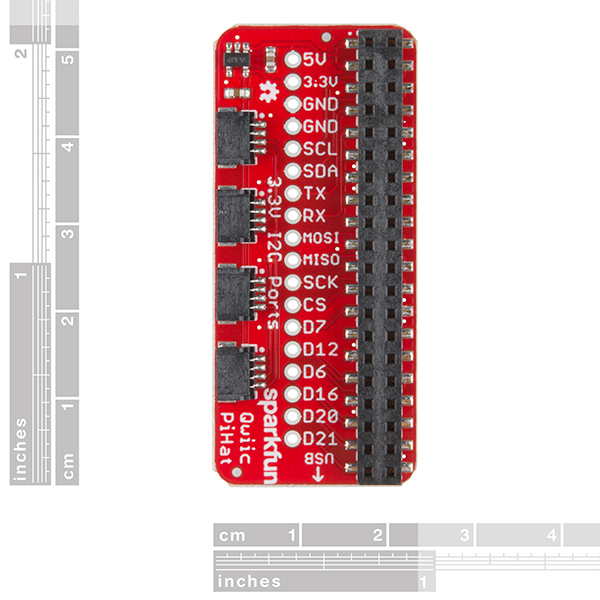 The SparkFun Qwiic HAT for Raspberry Pi is the quickest and easiest way to enter into SparkFun’s Qwiic ecosystem while still using that Raspberry Pi that you’ve come to know and love. 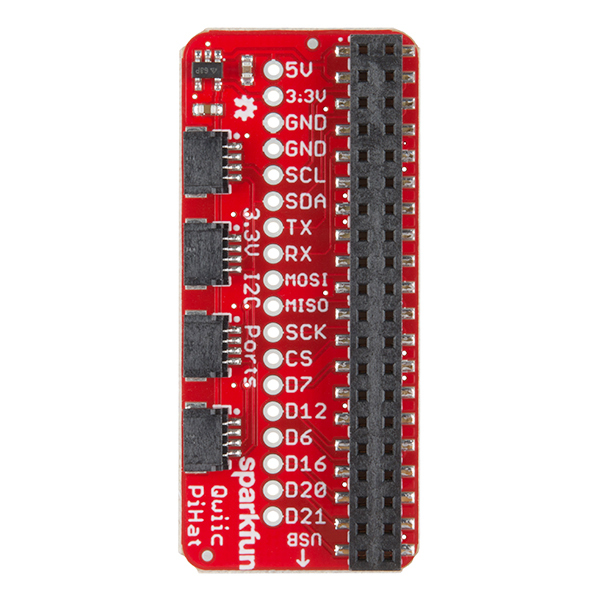 The Qwiic HAT connects the I2C bus (GND, 3.3V, SDA and SCL) on your Raspberry Pi to an array of Qwiic connectors on the HAT. Since the Qwiic system allows for daisy chaining boards with different addresses, you can stack as many sensors as you’d like to create a tower of sensing power! 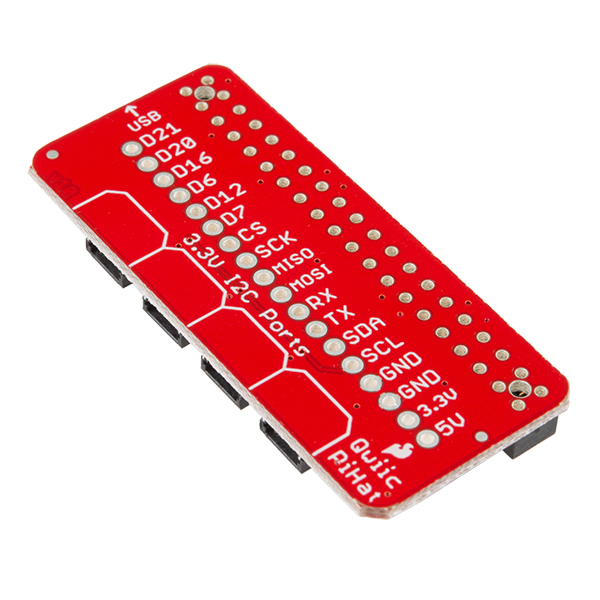 The Qwiic Pi HAT has four Qwiic connect ports, all on the same I2C bus. In addition, many of the useful GPIO pins on the Raspberry Pi are broken out. This HAT is compatible with any Raspberry Pi that utilizes the standard 2x20 GPIO header. It has been designed to sit to the side of the Pi, allowing it to work conveniently with a Pi Tin enclosure to connect boards to the Qwiic ports. Note: There is a small silk error that has reversed the SDA and SCL. This is simply a cosmetic mix-up and will not impact any function with this board. Get started interfacing your Qwiic enabled boards with your Raspberry Pi. 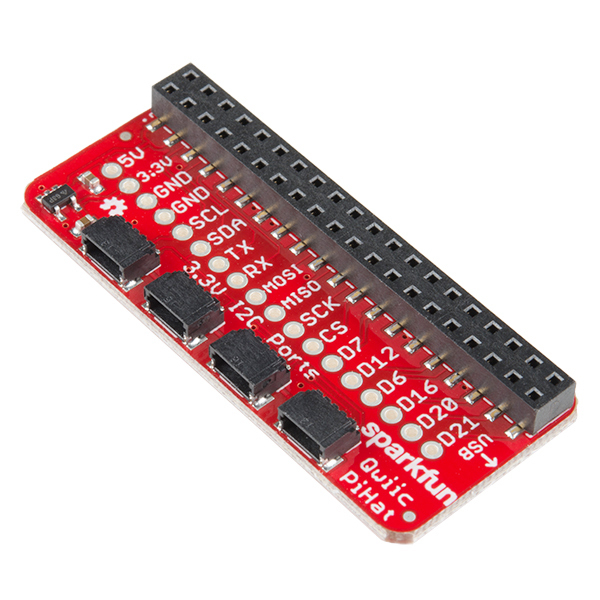 This Qwiic connects the I2C bus (GND, 3.3V, SDA, and SCL) on your Raspberry Pi to an array of Qwiic connectors. Figure out how magnetic fields are oriented, all without having to solder a thing. I'd call it a breakout board. And I have a board made by Adafruit for the original Pi and in later nomenclature the people there call it a hat. In fact since during development I typically use the serial port on the board (Pi) to confirm that the device properly started, especially when debugging a WiFi connection. Once I know it does work, I typically disconnect it. For the Pi3 it did need one. 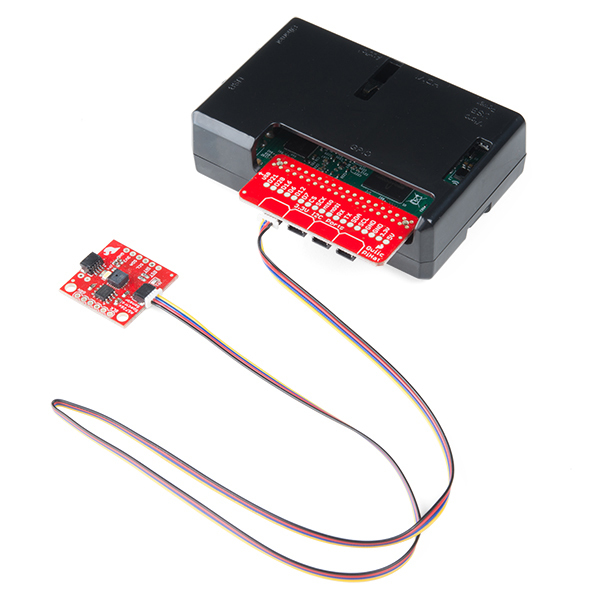 It conforms to the basic add-on board requirements It has a valid ID EEPROM (including vendor info, GPIO map and valid device tree information). It has a full size 40W GPIO connector. It follows the HAT mechanical specification It uses a GPIO connector that spaces the HAT between 10mm and 12mm from the Pi (i.e. uses spacers between 10mm and 12mm). If back powering via the GPIO connector the HAT must be able to supply a minimum of 1.3A continuously to the Pi (but ability to supply 2A continuously recommended)." No ID EEPROM, size is wrong, no mounting holes. It's a nice little Hat to easily connect I2C devices to your project. It was a snap to install getting my project up and running in no time. I was able to get any I2C device connected with the purchase of additional wired connectors. I plan to purchase more for other projects.